A long family tradition in the field of hospitality and catering for a former inn. About sixty years ago grandpa Guerrino and grandma Dina took over an old tavern and began to prepare tasty dishes. Later on, they demolished the old tavern in order to build the actual premises, still managed by the Masetti family. The restaurant, with a large and sober room, is located in the middle of the green, in the locality of Gesso. 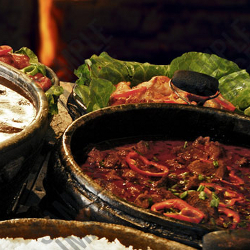 The menu is linked to the traditional Bolognese cuisine. Special attention is given to pasta dishes: tagliatelle (hand made noodles), tortelloni (hand made pasta with cheese and spinach filling), tortellini (hand made pasta with meat filling), lasagne to be ordered (layers of pasta topped with meat sauce and béchamel). Among the main courses dominated the grilled meats. The desserts focus on the classics:from the"zuppa inglese" (sort of trifle) to the crème-caramel and "torta di riso" (rice cake). 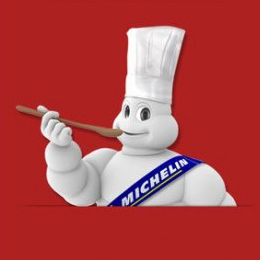 The restaurant is mentioned by the Michelin guide with a fork symbol.